The Caitika school of Buddhism split from Mahāsaṃghaka in the middle of the first century BCE. It later gave rise to the Apara Śaila and Uttara Śaila schools. 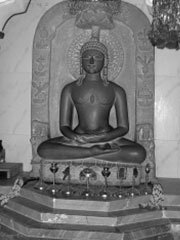 All three emphasized the supernatural character of the Buddha. The school also included an early version of the Bodhisattva ideal (as opposed to the earlier arhat ideal); this would later become vitally important to Mahāyāna Buddhism.